The last time a Cleburne runner was on the course at the girl’s state cross country meet was in 2005. Fast forward to 2018 and two Lady Jackets who will be running at Saturday’s 5A race in Round Rock. 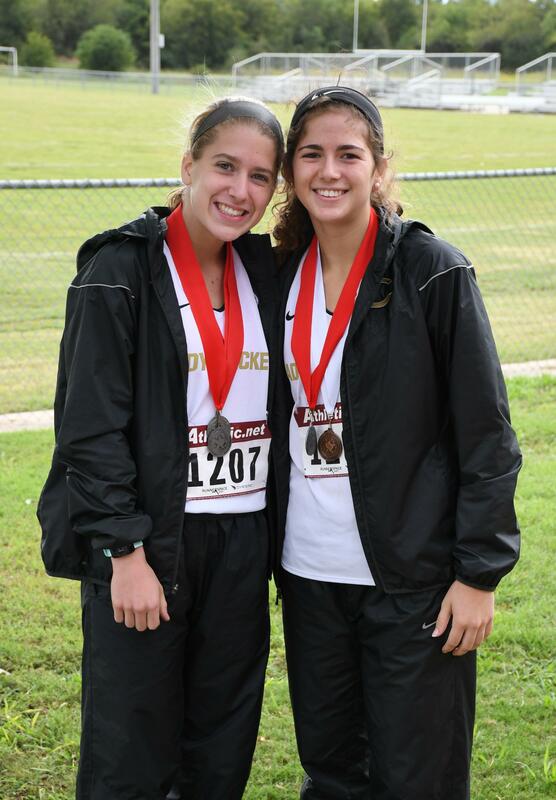 Juniors Maggie Marshall and Caitlyn Cron qualified for the final three mile run of the UIL cross country season with their top finishes at the Region 2 meet. Marshall shaved 60 seconds off her silver medal finish at District to place fifth at the Regional meet. Cron’s time of 19:03, a new personal best, propelled her onto the list of state qualifiers. Both runners, and Cleburne as a team, were competitive at invitational races throughout the season, reflected in the Lady Jackets 2nd place finish at District and performance at Regionals. Alicia Johnson, in her first year as head coach of the Jackets XC program, said qualifying Cleburne runners for state was among her goals for the 2018 season, knowing the talent and commitment within the girls and boys teams. Prior to her move to CHS as assistant coach in 2016, Johnson was the XC coach at Smith Middle School. Making it to state was the end goal--and a very defined goal--for her junior cross country season according to Marshall. She finished in the top five at all but one invitational meet, where she came in ninth. Basketball has always been Cron’s first sport, with cross country an ideal way to get in shape for racing up and down the court. But this year, she chose to take her participation in cross country to a whole new level. Cron crossed the finish line at Regionals 37 seconds faster than her fourth place time at District. While both state qualifiers have been friends and teammates since the eighth grade, their approach to running is very different. Marshall is analytical, with every day including a training plan. Cron says she just runs. When it comes to dedication and commitment, the two Lady Jackets are on the same page according to their coach. The State Cross Country Championships 5A girls race is set for 2:30 p.m. at Old Settlers Park in Round Rock.